2) Please bring in a picture of yourself for our mini class project. Be sure to send in a picture that can be cut and glued to a piece of paper. 3) Please bring in a 3-ring binder for our Science notes. :) We will not be starting our first unit until next week so you have the rest of this week. :) Please contact me if this is an issue and we will figure something out. **Book Fair starts Friday, September 7th! ** First Friday Mass at 9 a.m. Please bring in your Photo Release form / Mass form if you have not done so already! Please bring in a photo of yourself if you have not done so already! LA: Read chapter 10 in Because of Winn-Dixie and answer the prompt in your Writing/Reader Response Journal! OR--> If you were instructed to do so by me, read chapter 11 and generate a list of 10 questions you have from the story/recent chapters! Math: Complete p. 3 in WB- evens only!! Picture Day tomorrow! Wear PE bottoms and regular uniform top! LA: Read chapter 13 in Because of Winn-Dixie. Complete 1 word scroll for 1 new vocabulary word! Math: Complete p. 3 in WB - odds only!! LA: Read chapter 15 in Because of Winn-Dixie and create a list of 5 questions that you have from the reading/ the story so far! Math: Complete p. 4 in WB- evens only! ​Math: Complete p. 8 in your WB! STAR Reading on Tuesday, September 24th! Spelling: Spelling test Friday! Students were given Spelling City login information today! Math: Complete p. 62 in textbook- evens only!- (Graded Assignment) AND Chapter 1 test Wednesday! Science: Chapter 1 open-book test on Thursday! Spelling: Spelling test on Friday! Science:​ Chapter 1 open-book test on Thursday! STAR Math on Tuesday, October 2nd! Religion: Chapter 2 test tomorrow! Language Arts: Do not forget about Vocabulary words! 10/5 Friday Mass in the Gym at 9 a.m.
Spelling words for next week were sent home today to get a head start on studying! Spelling words/ Vocabulary words are also posted on my website/Spelling City! Social Studies: Chapter 1 test on Friday! Religion: Chapter 3 test Wednesday! Math: Chapter 2 test Tuesday! Math: Correct problems from p. 90 (graded homework)! ​Please bring in new adult winter hats for the Mother Teresa Outreach Ministry! ​Bring in new adult winter hat for the Mother Teresa Outreach Ministry! Friday is the last day! Religion: Complete study guide for Chapter 4! Chapter 4 test on Friday! Please bring in non-perishable food items! Bring in a new winter hat by Friday!! Religion: Chapter 4 test on Friday! ​Please bring in non-perishable food items! Religion: Chapter 4 test tomorrow! Trick or Trunk tomorrow at the Parish church parking lot! Mass Thursday, November 1st for All Saints Day at SS Rose and Clement Church @ 9 a.m.! Mass Thursday, November 1st for All Saints Day at SS Rose and Clement Church @ 9 a.m.
​Bring in non-perishable food items! All Saints Day Mass tomorrow at SS Rose and Clement Church @ 9 a.m.
​Permission slips were sent home today for the Latin American & Flamenco Dancing Field Trip on Thursday, November 8th at the McVinney Auditorium in Providence! Please return ASAP! Religion: Chapter 5 test Thursday! Religion: Chapter 5 test tomorrow! ​Bring in non-perishable food items! Be sure to check the expiration date before sending anything in!! The next Kindness Club meeting will be on Wednesday, November 14th, from 2pm-3pm. Students can be picked up at the Brentwood Ave. entrance. Students staying for Kids' Haven will be signed in at 3 pm. **Reminder--> For Math HW, please use the lined paper that I sent home & no rounding!! I only want you finding the exact answer tonight! Math: Complete the Error Analysis #2 WS (this will be graded!) 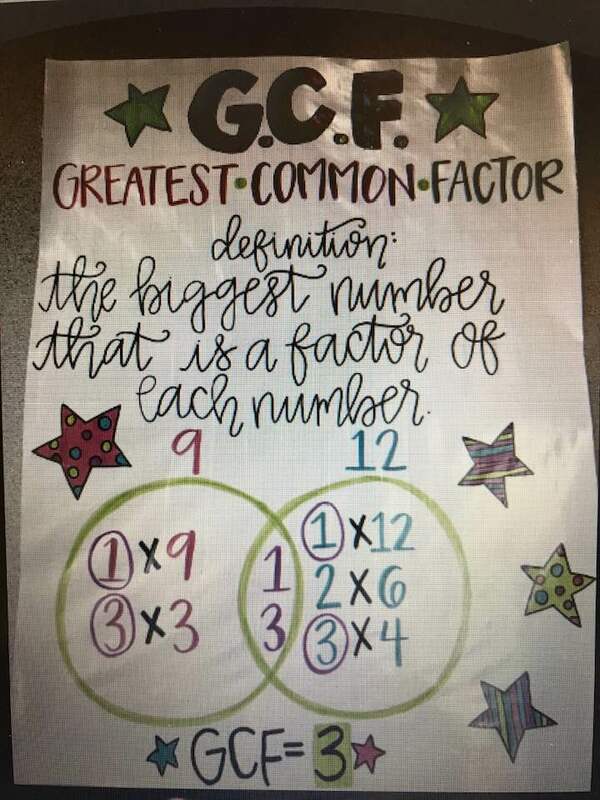 AND practice your math facts for 15 minutes! ​Breakfast with Santa Sunday, December 9th 8:00 a.m.- 12:00 p.m. Santa arrives at 9:00 a.m.! Math: Complete Area Model WS! Chapter 4 test Thursday! Math: Complete Error Analysis 7 & 8! Due Thursday. Math: Complete Error Analysis 7 & 8- due Thursday! Religion: Chapter 8 test on Friday! Spanish: Study classroom objects vocabulary! 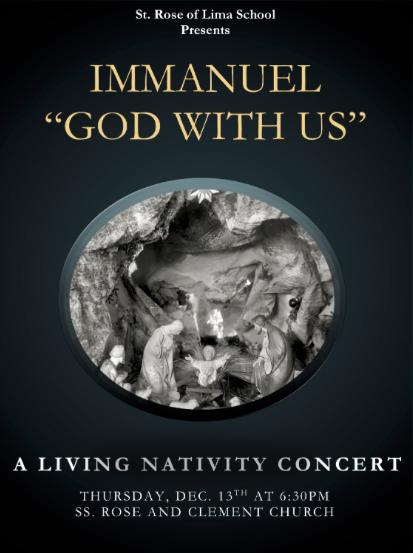 ​Christmas Concert & Living Nativity Thursday, December 13th 6:30 p.m.​​ See attachment below for further details. School Spelling Bee Friday, January 11th! Spelling: Holes Spelling test Friday! Math: Complete p. 58 in WB (evens only!) --> please used lined paper to show your work! ​Registration packets were sent home last week with the youngest sibling! Please return ASAP to ensure a spot for the 2019/2020 school year! STAR Reading test will be taken tomorrow- Tuesday, January 8th! STAR Math will begin next week! STAR Math will begin next week! Religion: Chapter 9 test Friday! Kindness Club will meet on Tuesday, January 22nd from 2-3!! Math: WS (evens only!) **use lined paper to show your work! Spanish: Quiz Friday on classroom vocabulary! Math: WS (highlighted problems) **use the WS from class to follow the example if you get stuck! STAR Math- Wednesday, January 16th! Math: Division Error Analysis #6! Math: Complete p. 64 (evens!) in your notebook! --> This will be graded! Religion: Chapter 10 test Wednesday! Spanish: Study plural rules for mini quiz later this week! Social Studies: Industrial Revolution test on Monday Feb. 4th! ​Bring in pennies for Leukemia!! Grade 4 hosts Mass on Friday @ 9 a.m.
Grade 4 hosts Mass tomorrow @ 9 a.m. in the gym! Sign & return STAR reports on Monday! Please send a note/email if you would like me to send a copy home of STAR reports! Sign & return STAR reports!! Please send a note/email if you would like me to send a copy home of STAR reports! Vocabulary: Write 1 sentence for each vocab word! Vocabulary: Write a letter/article/free write using all vocabulary words due Wednesday! Religion: Chapter 11 test on Wednesday! Valentine's Day Party on Thursday! Pink/red dress down! 100th Day of School on Wednesday! Religion: Chapter 11 test tomorrow! 100th Day of School tomorrow! Valentine's Day Party on tomorrow! Pink/red dress down! Math: Complete p. 87 in WB! Math: Work on graphing project (continue to collect data) and complete a rough draft for at least one graph! Math: Work on graphing project and complete p. 89 in WB! Spelling: Mixed Review Spelling test on Friday! Math: Work on Graphing Project! Ash Wednesday Mass tomorrow at the Parish! Math: Work on Graphing Project (due tomorrow) and complete p. 93 in WB! Math: Complete p. 91 in WB! Math: Complete p. 92 in WB! Kindness Club Tuesday, March 26th from 2-3. Students can be picked up at the Brentwood Ave. entrance. Students staying for Kids' Haven will be signed in at 3 pm. Math: Complete Mr. Smith's Sock Drawers WS! Math: Complete p. 95 in WB! Red dress down tomorrow for St. Joseph's Day! Math: Complete p. 96 in WB! Religion:​ Chapter 16 test Thursday! Math: Complete p. 97 in WB! Hot Chocolate will be sold on Thursday! Math: Complete p. 98 in WB! Math: Complete p. 275 in textbook (#'s 13-27 (all), 28-38 (evens), 40-43 (all)) --> This will be graded! Most students were able to get to problem 28 in class today! Social Studies:​ NE test on Monday! Mrs. Izzi will determine when the warm weather uniform is okay to wear to school. For now, please stick to the cold weather uniform! Math: Complete p. 100 in WB! Picture Day Tuesday, April 9th! Field trip to Slater Mill on Wednesday, April 24th! Permission slips will be sent home on Monday! Field trip to Slater Mill on Wednesday, April 24th! Permission slips will be sent home today!!!!! Please return ASAP!!! Social Studies: Midwest Region test Friday, April 12th! ***PLEASE USE THE FOLLOWING LINK TO STUDY FOR THE MIDWEST REGION TEST COMING UP FRIDAY, APRIL 12th!! Math: Complete p. 103 in WB! Religion: Chapter 17 test next Tuesday! Field trip to Slater Mill on Wednesday, April 24th! Religion: Chapter 17 test Tuesday! ***** Kindness Club will meet Wednesday, April 10th from 2-3 pm! Math: Complete p. 104 in WB!